While San Jose may lack the colorful counterculture history of nearby cities like San Francisco and Oakland, this South Bay metropolis—now the third largest city in California—has transformed from orchards and farmland into the “valley of genius,” a futuristic home of high-tech businesses. 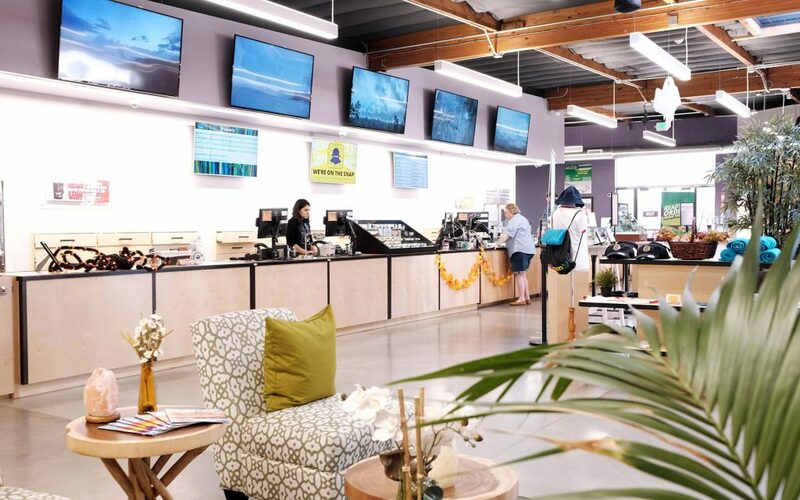 With only 16 licensed dispensaries, there’s not as many options for pot shopping as you’ll find farther north, but San Jose is home to some of the largest and most beautifully designed cannabis retail experiences you’ll find anywhere in the state. Enjoy a fantastic local dining scene, world-class museums and nightlife, as well as famous attractions like the Winchester Mystery House. With one of the nation’s largest urban trail networks, San Jose is a mecca for bicyclists, and the entire city is designed to be very bike-friendly. Use a bikeshare service to create your own dispensary tour, gliding through the heart of the city on the Guadalupe River Trail, with both Airfield Supply and Caliva within a few miles’ ride. Thrill seekers should be sure to check out Lake Cunningham Action Sports Park, a must-see destination for mountain bikers and skateboarders. 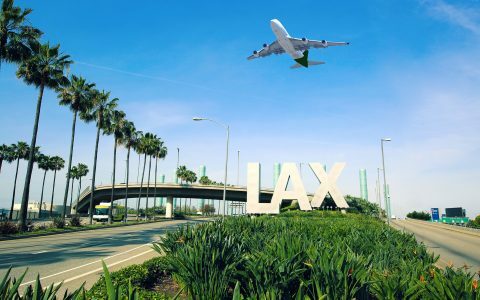 Cannabis is legal in California for adults 21+. Bring an unexpired driver’s license or passport to get into retail stores. You can also grow six plants on your own private property in a locked enclosure not visible to the public. No smoking in public. That includes any private place that is open to the public, such as hotels and bars. Airfield Supply Co. – With extensive choices in all product categories featuring the best brands in cannabis, the menu at Airfield Supply Co. is well-tended. A spacious, thoughtfully-designed interior make visiting this dispensary pleasant for new consumers of cannabis as well as seasoned pros. Browse the impressive selection of extracts including top-shelf offerings from Beezle, Gold Drop and 710 Labs. Caliva – As a vertically-integrated cannabis superstore, Caliva cultivates and creates many of the products you’ll find on their shelves. Beyond their own brands, seek out luxurious items such as Beboe Rose Gold vape pens, hard-to-find temple balls from hash master Frenchy Cannoli, and enjoy plenty of choices in their well-stocked cannabis-infused body care department. Elemental Wellness – A longtime fixture on the San Jose scene, the menu at Elemental offers fewer choices as far as cannabis flowers, but everything available is top-quality. Don’t miss prerolled joints from IC Collective and the delicious baked goods from Kaneh Co. Conveniently located, this discreet spot offers plenty of parking, as well as delivery direct to your door. Purple Lotus Patient Center – With an old-school feel, the experience of shopping at Purple Lotus definitely favors cannabis connoisseurs who already know what they’re looking for. 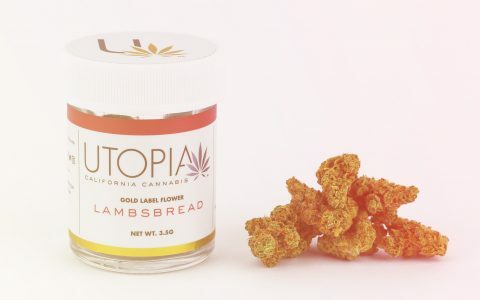 Find the hottest hyped cultivars from producers Los Angeles Kush, Gold Seal and IC Collective, as well as amazing rock-bottom deals like a $50 ounce of shake along with everything in between. The menu changes daily, so be sure to check their website, make a shopping list and get in the express lane when you arrive. 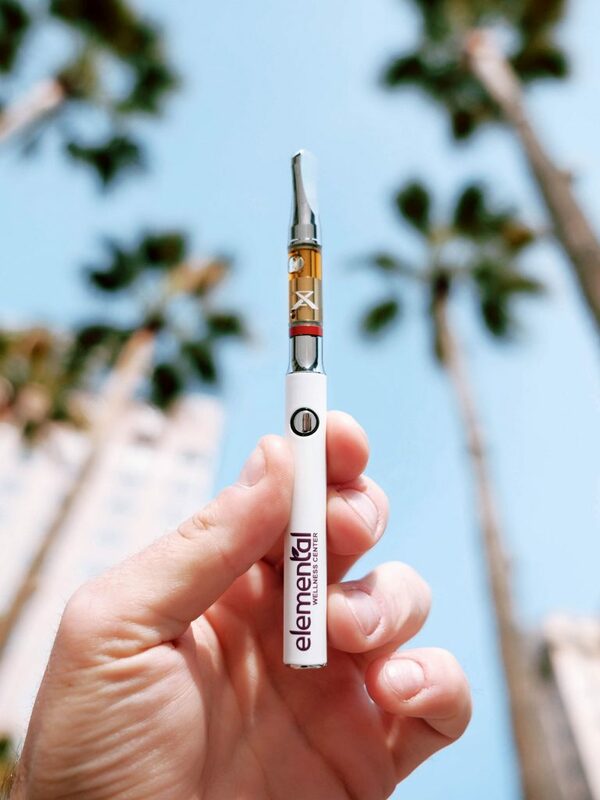 Elemental Delivery — This local favorite dispensary also delivers, requiring a $50 minimum order to be delivered anywhere in San Jose. The delivery range extends as far as Hayward, San Mateo, and Morgan Hill. Pick out your products online, complete the order, and get delivery to your home or business either at a prescheduled time or within three hours of your order. Stoney Delivery — With an extensive menu featuring hundreds of cannabis products, Stoney offers a great selection at affordable prices. Go to the website, create an account, and get started ordering all the weed you need direct to your door. Orders take one to three days, depending on your location, and arrive by courier. 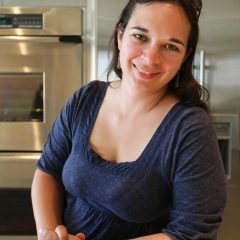 Ganjarunner — Another outfit that delivers statewide, Ganjarunner will drop off your order one to two business days after selecting from an extensive online menu. Look for affordable cannabis from Chong’s Choice, Cru, and Flow Kana, with great deals on edibles, vape carts, and extracts. Taxes may or may not be included in the quoted price. Be sure to ask. If taxes are tacked on, expect a layer cake of state, local, sales, and excise taxes to bump the price up 15%, at least. 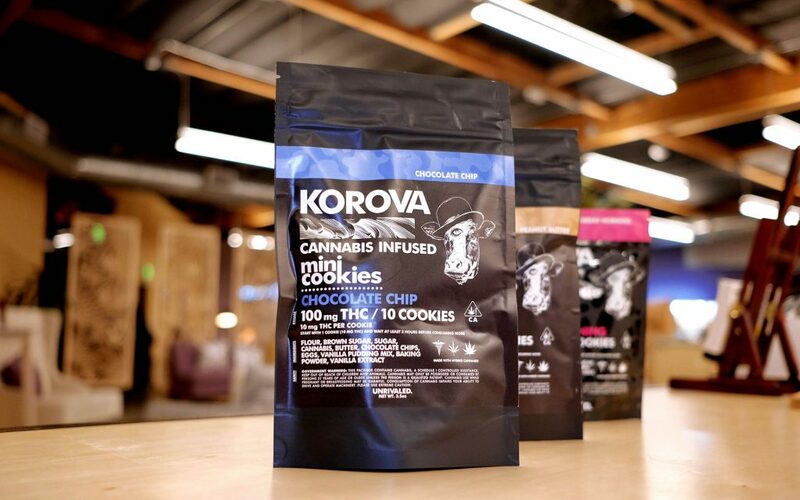 If you’re interested in edibles, start slow with a bag of Korova Pure CBD Vanilla sugar cookies. Each cookie contains 15 mg of pure CBD, enough to make you feel relaxed without any euphoric “high” feeling. Looking for a pre-rolled joint? Try one of the blends from Prism, available at Airfield Supply and other San Jose locations. Prism joints use 100% CBD, with blends that mix high-THC varieties with 50% CBD, intended for different functional effects. Recommended for those who haven’t smoked in years but are interested in trying cannabis again. 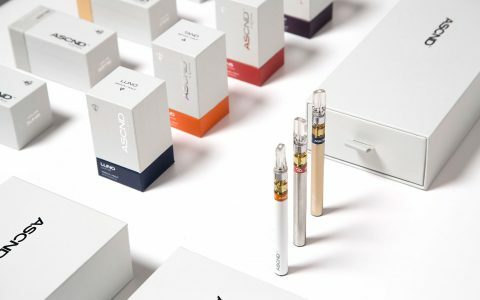 Vaping might be more your speed, so look for AbsolutExtracts’ AC/DC vape cart, which is rich in CBD, as well as the Dosist vape pens that deliver small, easy-to-measure doses so you can get to a feeling that’s just right. 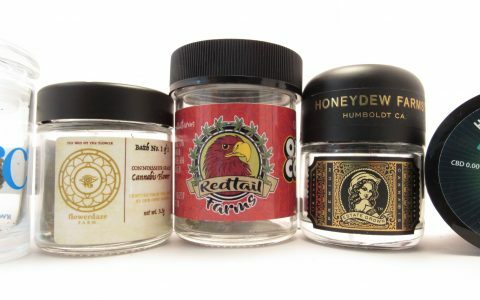 Avoid any extracts or edibles with high-THC percentages. Start with lots of CBD and very small amounts of THC until you feel comfortable. Scoop up an eighth of Flow Kana’s S’Mores Gelato, a popular flavor with a moderate THC percentage of 17.9% and know that you’re supporting sungrown, eco-friendly cannabis. Heading to a party? 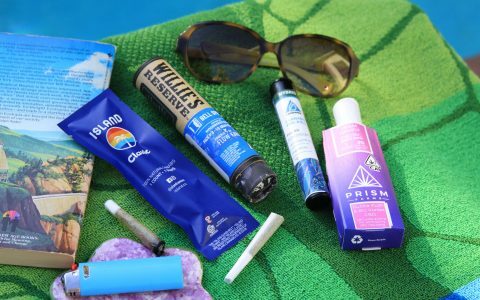 Grab the Happy People Party Pack from Caliva, which features a variety of cannabis products that are made for sharing. Get sativa flower, a pack of pre-rolls, infused gummies, a complete vape pen kit, and more—all for $119. 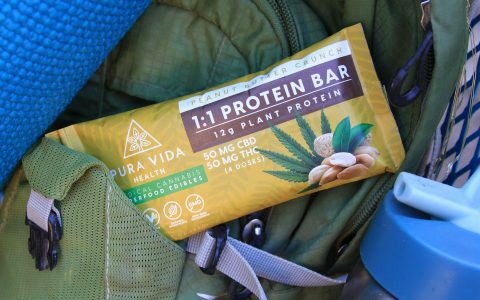 If you’re curious about edibles, seek out products with many pieces that contain a low dose, such as chocolate-covered raisins or espresso beans from Satori or Kiva, gummies from Plus, or Petra mints, which contain just 2.5 mg of THC each, perfect for a maiden voyage. Avoid: Too-strong extracts in excess of 60% THC. These should only be used by people with the highest THC tolerances. Looking for stronger medicine? 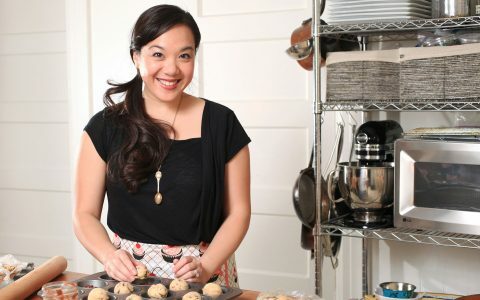 Get the Nightcaps from Cookie Co., available at Caliva and other San Jose locations. Made with their Gelato strain, each capsule packs 50 mg of THC, and there’s 20 capsules in the container. Much more potent than any edible on the market, these will relieve pain and help with sleep. 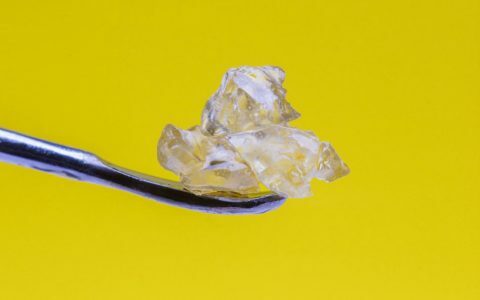 If you’re a good cook and you like strong edibles, make sure to stock up on cannabis-infused ghee from Clarified Confections, found at Elemental Wellness. With 1,000 mg per container, you can drizzle this clarified butter on your meals or use it in recipes for pain relief. Extract enthusiasts, be sure to check out the live resin that recently debuted from Field Extracts, which can be found at Airfield Supply, along with nice terps from Beezle and Raw Garden. Sea of Green Cannabis Tours — Choose from a variety of experiences ranging from a dispensary tour to an in-depth exploration of a hash-making facility. 420 Party Bus Tours — Relax and let someone else do the driving! This luxurious party bus can be hired to take you and a group of friends on an epic tour of local dispensaries and cultivation facilities. Elemental Wellness offers free classes including yoga, meditation, and cannabis cultivation instruction, along with services like massage and sound baths. Cannabis Enhanced Yoga — Elevate Your Wellness presents “Self-Care Sunday,” yoga classes at Live Lotus studio in San Jose. Get bendy and relax in a weed-friendly setting. American CBD Expo — Coming in February 2019 to the San Jose Convention Center, this expo promises to features all things CBD, including pet care, body care, and vaporizers. Authentic Jamaican — Get irie before you walk into Back A Yard and feast on jerk chicken, oxtail stew, and crispy patties. Enjoy large portions at this popular downtown spot with real Caribbean soul. Aloha Spirit — Formerly named “Da Kine,” this favorite nightspot is now called Tiki Pete, but it’s still plenty kind inside. Check out bands and DJs, get an amazing bowl of poké, fish tacos, and outlandish tiki drinks. Best Mexican — Get out of downtown and saunter around the historic Alameda neighborhood before settling in to the lovely outdoor seating at Luna Mexican Kitchen. Get the freshmade guacamole with chicharron and prepare to have your mind blown! It’s still illegal to smoke in public, with violators risking a ticket and fine of up to $100—or even more if they’re near a school. Avoid lighting up in places where kids and families congregate, and be respectful of others who may not want to inhale secondhand smoke. You’ll be carded at the door to ensure you’re 21 or older. Expect your personal information to be entered into the dispensary’s computer system, since all retailers are required to track how much people purchase. 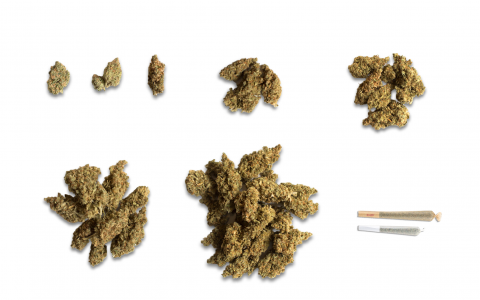 You’re limited to one ounce of cannabis flowers and eight grams of concentrates per day, which is way more than you’ll need. It’s considered polite to tip your consultant a dollar or two, especially if service was stellar and you sniffed so many jars that the consultation took more than 15 minutes.